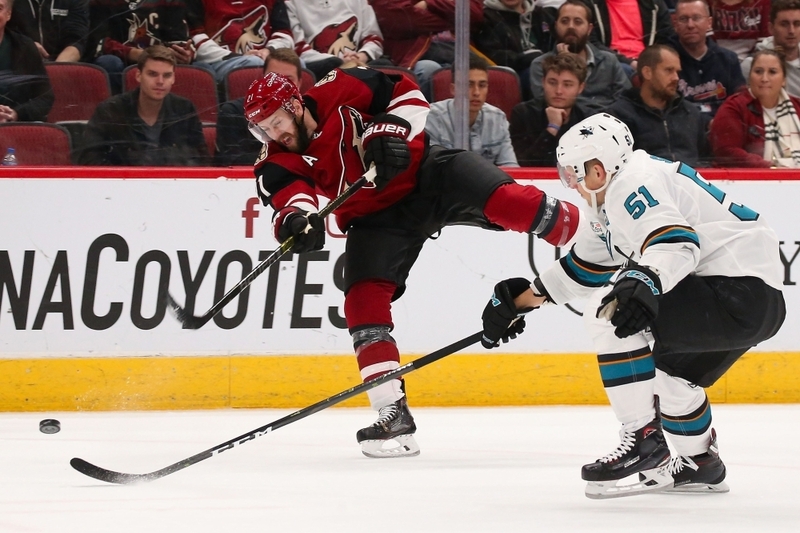 NEW YORK — Christian Fischer and Lawson Crouse each had a goal and an assist as the host Arizona Coyotes defeated San Jose 6-3 Wednesday night in Glendale, Ariz., snapping the Sharks' seven-game winning streak and handing them their first loss of 2019. Eichel, who snapped a five-game pointless drought, collected a goal and an assist to help snap Buffalo's three-game losing skid. Evan Rodrigues, Rasmus Dahlin and Jake McCabe also scored for the Sabres. Linus Ullmark made 30 saves to record the victory in the see-saw affair. Nathan MacKinnon had a goal and an assist, Nikita Zadorov scored a goal, and Mikko Rantanen added two assists for Colorado. Semyon Varlamov stopped 26 shots for the Avalanche, who finished their five-game road trip 1-4-0. After the Canucks' Jacob Markstrom denied Leon Draisaitl on a breakaway during a frenzied overtime, the Swedish goaltender stopped the first four attempts in the shootout before Chiasson's wrist shot sailed over his glove to end the contest.